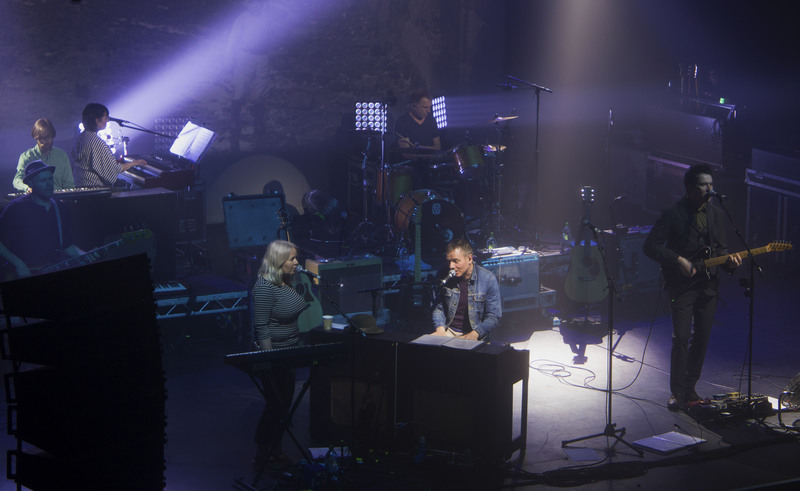 It’s a difficult one to objectively review Belle and Sebastian’s performance at York’s Grand Opera House. 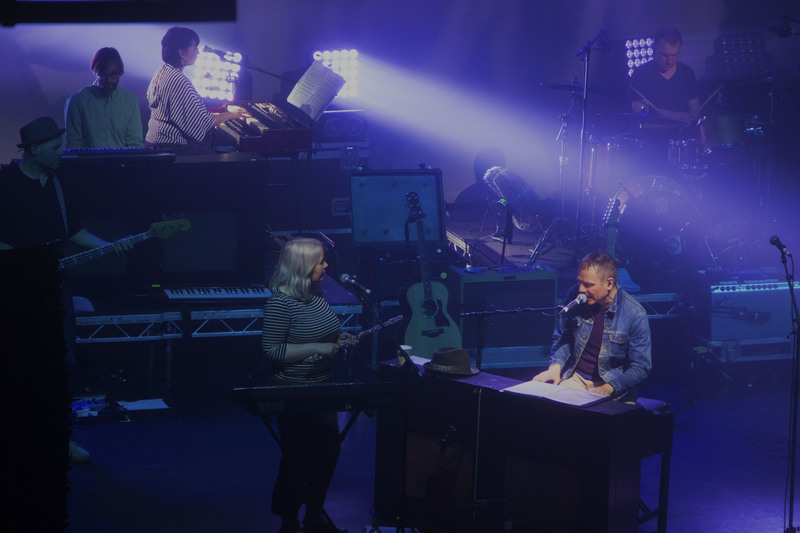 You see, me and Belle and Sebastian have missed each other constantly over the last twenty years (to be fair, I think its possibly quite a one sided thing, but bear with me) and the level of excitement when they finally walked on stage was (in my seat anyway) palpable. 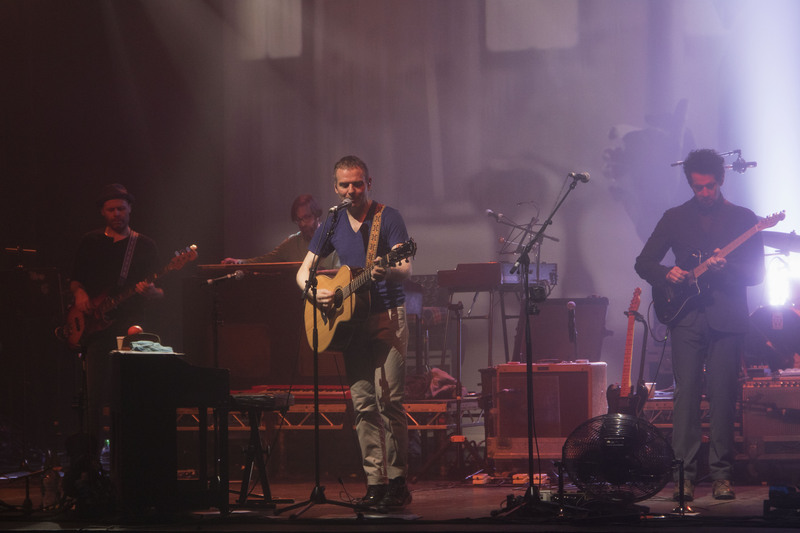 What i can say is if you’ve never seen Belle and Sebastian, then you need to. 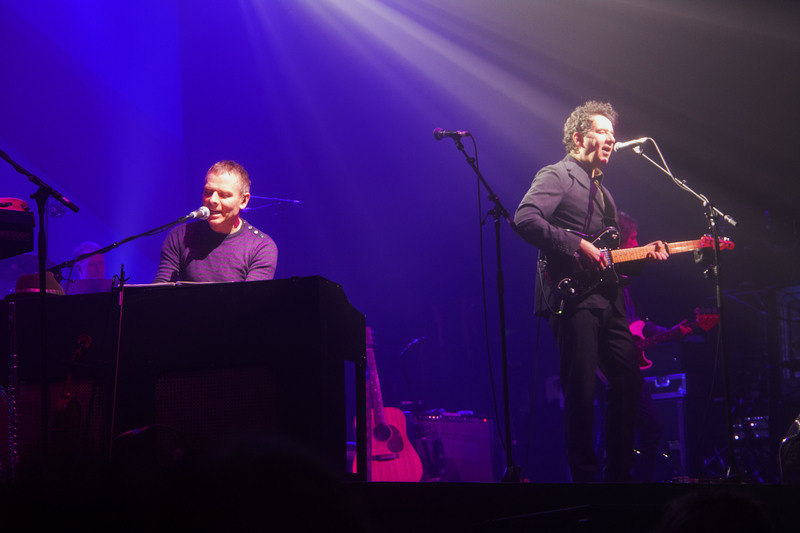 As many as 9, and as few as 5 come and go onstage, and they play, I mean they really play, swapping instruments almost every song and throwing in 3 and 4 part harmonies as they do so in some songs. They’re there to please as well – Stuart Murdoch running through his concert patter with the ease of a consumate pro, aided and abetted by guitarist (and some time lead vocalists during the proceedings) Stevie Jackson as they look at photos taken of York on the big screen, tried to play ebony and ivory, attempted yorkshire accents (with literally no degree of success) and invited ‘dancers’ (ie the public) onto stage…..
Set wise, the band payed tribute to their extensive back catalogue while showing off the new additions – the first three songs settled the audience (and more importantly me) into what was to come with Nobody’s Empire, I’m a Cuckoo and We Were Beautiful hitting us between the indie-pop eyes and dazzling us with the more synth/harmony driven new stuff, from the recently released set of EP’s How to Solve Our Human Problems (Parts 1-3). 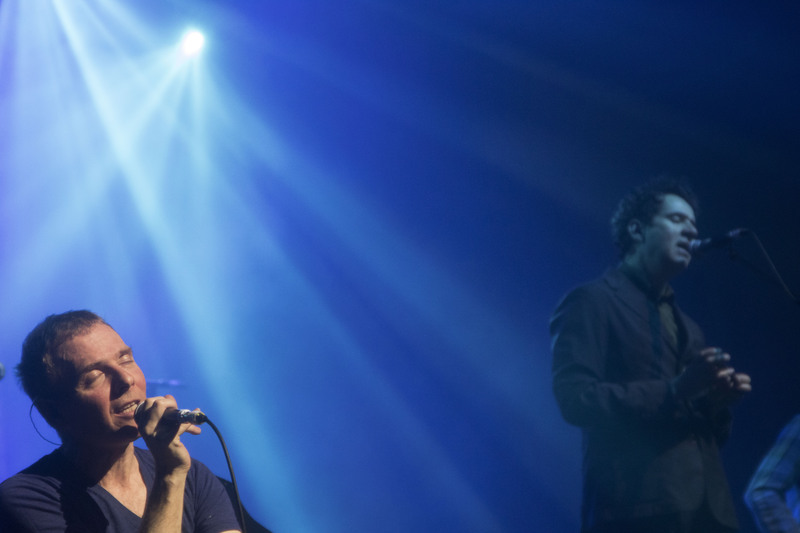 Highlights were plentiful in supply – the band rattling through the likes of Jonathan David, I’ll be your pilot, Sukie in the Graveyard, and ever favourite ‘The Boy in the Arab Strap’. As the band ran through the ending of the set – Get me Away, I’m Dying, I could be dreaming and I want the world to stop, I’m glad it wasn’t just me that gave the band a standing ovation and hollered for them to take the stage, which they did for Judy and the Dream of Horses, ending the night with Sleep Around the Clock. A note too about support act Julien Baker who brought her emotionally wrought songwriting to the appreciative audience. 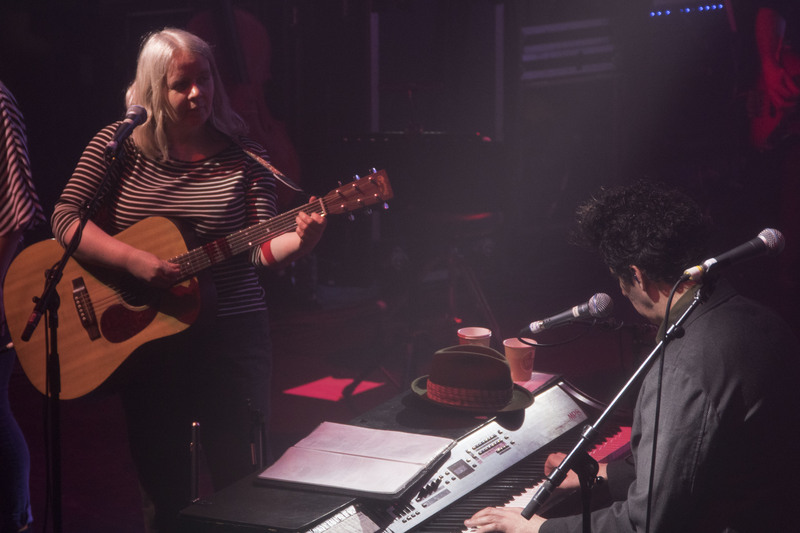 Largely alone, she filled the space with her often haunting and fraut songs, accompanied by a violin/backing vocalist towards the end of her set. Certainly one to keep an eye on. 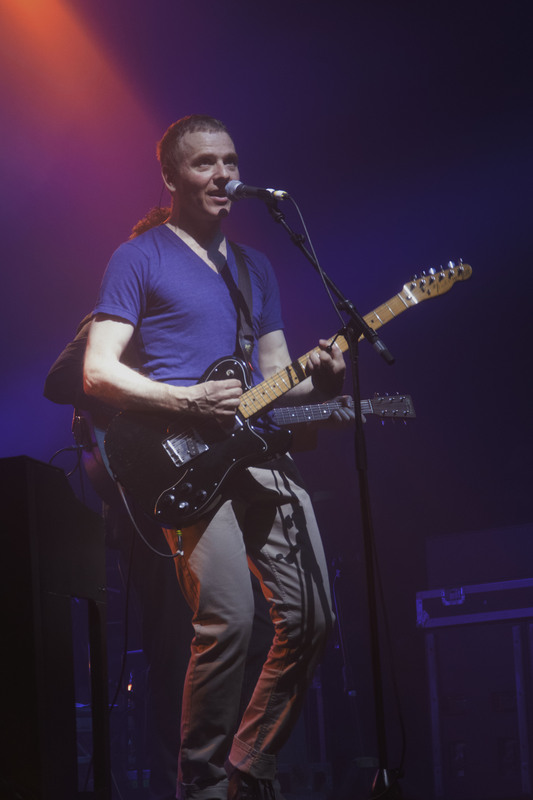 As for Belle and Sebastian. Lets just say they were brilliant, shall we?